Yesterday evening I went up to collect some delicous goodies from Local Suppliers that I had ordered on the Neighbourfood website last week. I wasnt sure what to expect but I was delighted at how Jack and Martin had put it all together an the fabulous space that they have created. 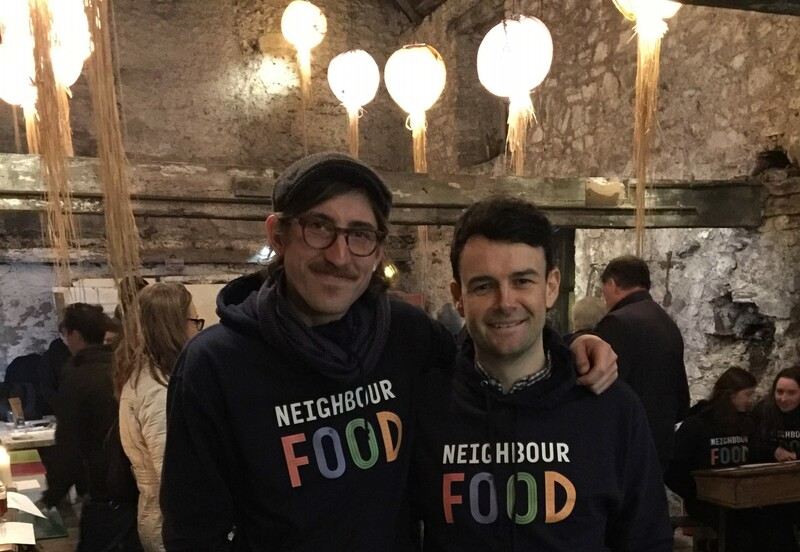 Neighbour food is the brainchild of Jack Crotty who brought you Rocket Man in Cork and his business partner Martin Poucher. It is a very simple concept where a Host provides a space for producers to bring their wares and customers to pick them up, and Neighbour food via their website provides a way for customers to order what they want for the week. There is then a 2 hour window on Tuesday Evening 5pm - 7pm where customers come to pick up their order that they have finalised and paid for. All the producers need to do is pack it all up and bring it along to the venue on 13 Barack St, and best of all for the producers the money is already in their bank account and they know exactly how much they will sell, so no wastage. Initally it may seem like this is a competitior to traditional farmers markets, such a those run in Mahon Point or Wilton however in reality the idea compliments them by going for an differnt market. Many people find it difficult to shop at Farmers Markets which are often on midweek in the morning when most people are at work, and even if they can make it at lunch time, there are many things such as meat and dairy products that you can't really leave in your car for the afternoon. Neighbourfood solves this problem perfectly, allowing people to order online for what they want and then only have to make one trip to pick the stuff up on the way home one evening or after getting home. Also for people living in Cork City who may not have access to a car, but still wish to have access to all the producers that come to the markets, this system works very well. Some Great Elbow Lane Beers. Frozen Free Range Duck from East Ferry Free Range. As well as the fun of meeting all the suppliers and walking around picking up your various items, Jack had of course found the most wonderful venue in an old Cork building with fabulous high ceilings and a true rustic look. All in all I had a great evening and came away with a big bag of goodies to enjoy for the week. If you live in or around cork, you should sign up on their website at https://www.neighbourfood.ie/ . Orders open for next Tuesday pickup from 4pm on Wednesday.